We love seeing Kickstarter successes. Not all of them share the same success as Pebble, but the ones that do and deliver are great, and fill our hearts with love and admiration. OneAdaptr is one such story. Their campaign ran at the back end of last year, and they managed to get $36,000 funding in response to needing $30,000. Not really a crazy big amount, but the perfect amount in my mind, to bring something useful like this to life. The concept is rather simple, and is reflected in the name. All you need to do to get different countries’ power pins out is to twist the dial in the centre of the device. 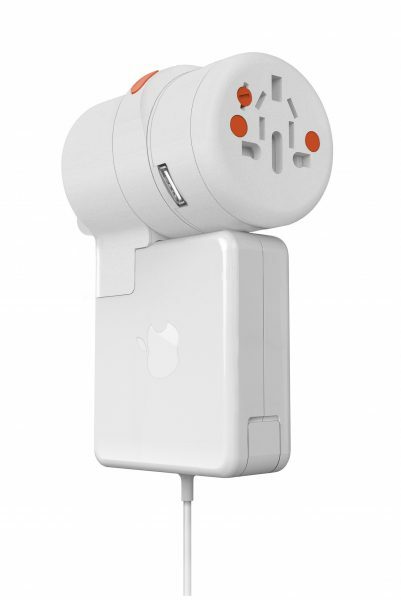 Attached at the bottom is also a an adapter that can be attached to your MacBook or iPhone charger, meaning they don’t need to take up a socket just for you. All you do is take off the small protective covering, attach this, and you’re good to go. A definite help if you’re struggling for sockets or adapters. The universal adapter works pretty much everywhere, and it also offers a USB port that gives you up to 2.4A, meaning it can charge anything from a smartphone up to an iPad and more. As far as basic specs go, you can use this between 100V to 240V and 50/60Hz, so it will plug in pretty much anywhere, though you’re restricted to plugging in items that only go up to 3A. So yeah, while your digital equipment is fine, you might want to hold back on that air conditioner, hair dryer or heater. It is available via their website and retails for £24.99. This one has almost all the features as the World Adapter, however it comes with no input socket to plug your mains plugs into, but instead offers you 4 USB ports, with a combined total current of up to 4A. 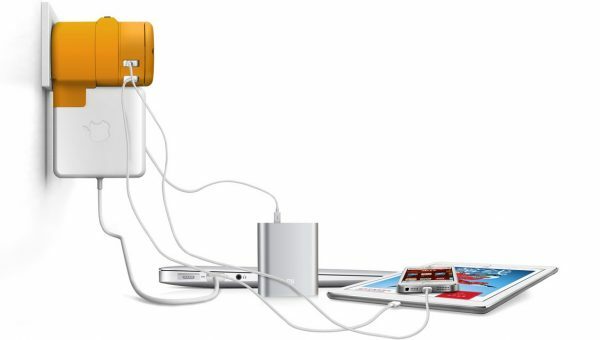 This means that you can charge up to 4 smart phones, or up to 2 tablets, or a combination of the above. You can once again connect your MacBook’s Magsafe adapter to this, meaning even less to carry on your travels. 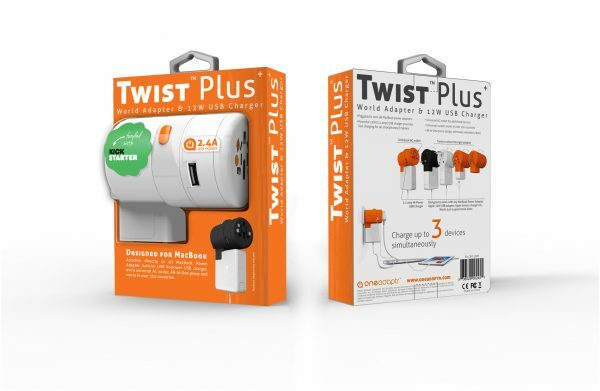 The twist mechanism is simple, once again, giving you the option to pop out various connecters for around the world. More information on this can be found on the Twist website, where it retails for £27.99. It can also be bought from Amazon. You can also find out more and buy the complete range on the Twist website. Previous story Review: Dell Venue 8 Pro – Portable, small, powerful – but missing a keyboard! Next story Review: Cambridge Audio Air 200 – Feel the bass!